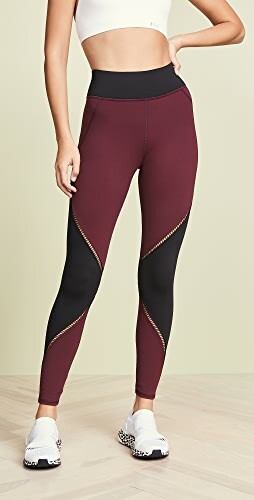 Since LOFT Is having 50% off everything (code SPRING), I thought I’d share a few try-ons I have. I shared a few of these last week, but I’ll add those too since they’re all fairly new arrivals. 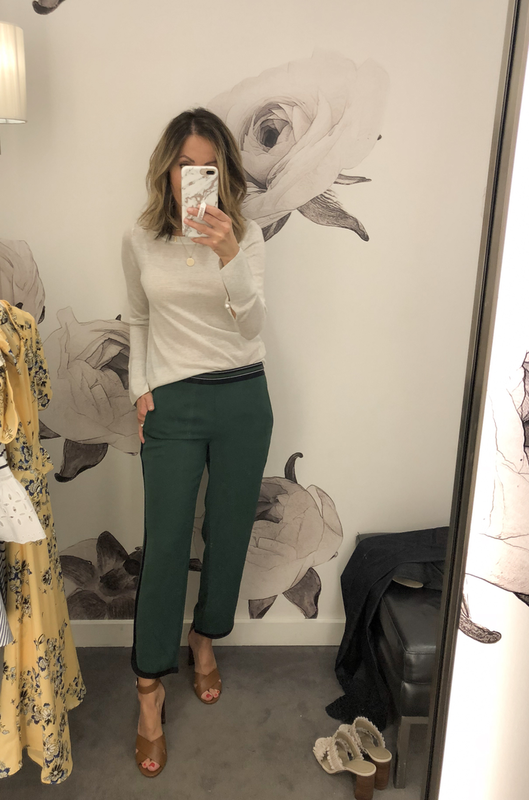 Ann Taylor is also having 50% off almost everything and here are some try-ons from last week. 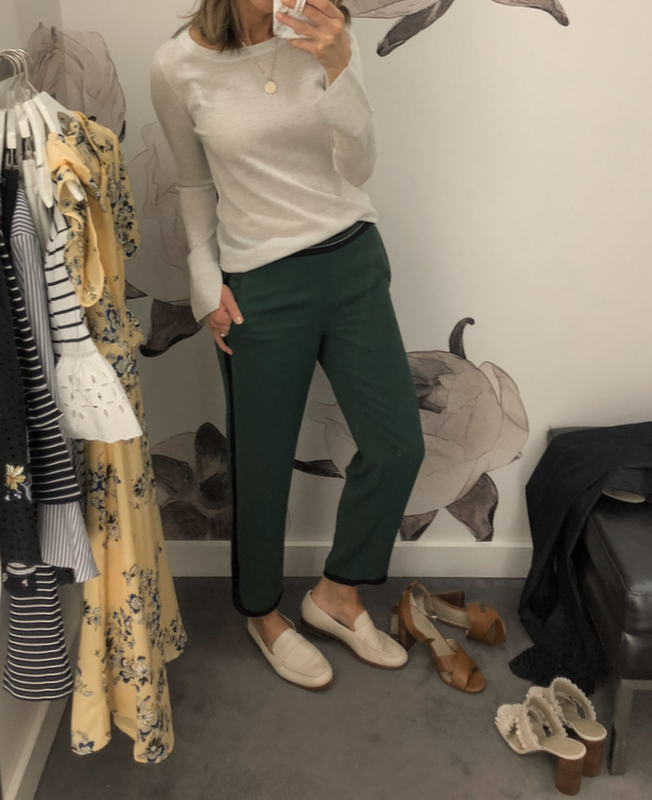 I actually realized I have more Ann Taylor try-ons so stayed tuned I’ll add those on there shortly..
Before I start I’m also liking my jeans, white v-neck tee (I sized up) and loafers for those interested. My bar necklace and the hammered pave necklace (wearing just one, comes as set of two). Really liked these pants. The color, the style, the fit. I tried size 0 and they fit fine. They get mixed reviews…some complaining about these stretching out. 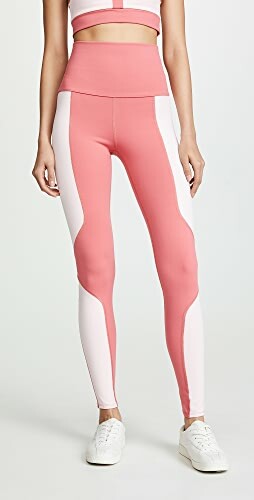 I think if these stretch out a bit it wouldn’t be all that bad since they’re quite fitted. There are also these jeans in the similar color. This pretty sweater would look great with it. 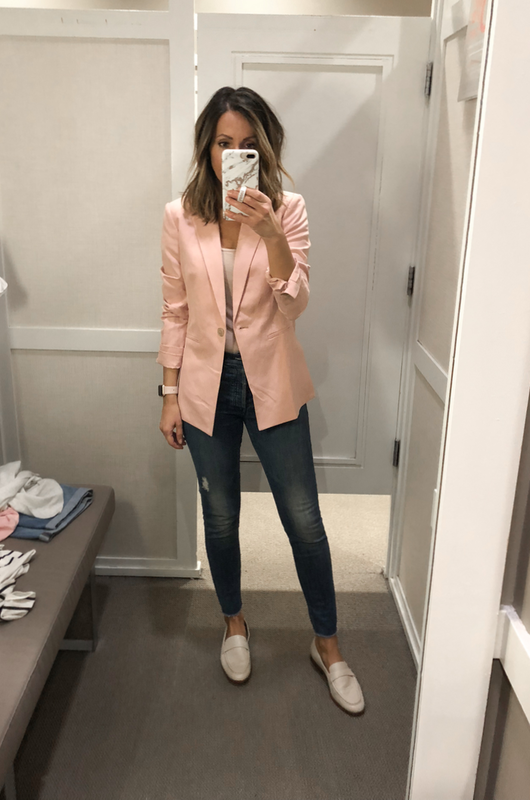 Last time I tried this blazer on my size wasn’t available but it get restocked in store. Definitely a great fit, I’d say it runs tts. I love the color and the length. This blazer would pair nicely with SO many pieces. Denim Shorts – I have these for previous season and love them. I got size 26 (wearing 25 here and they’re a little snug, which denim shorts shouldn’t be, in my opinion). 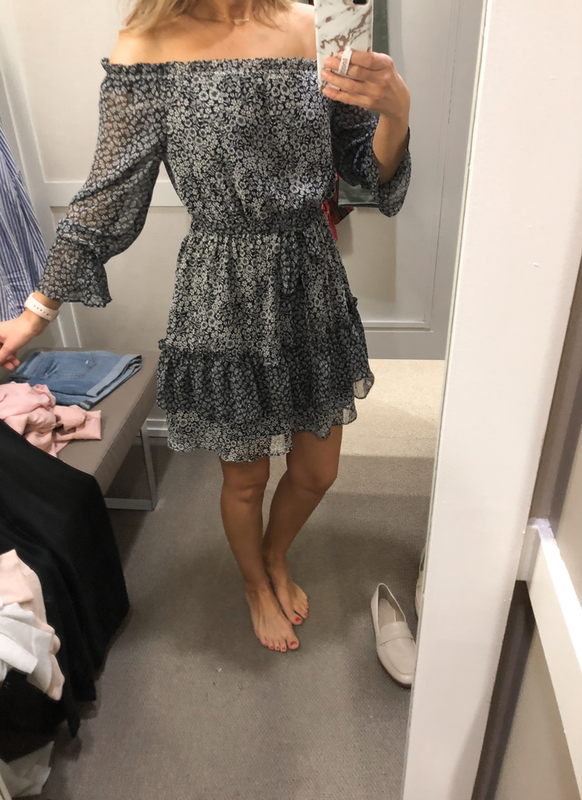 This cute ruffle dress runs tts. Love the side detail. 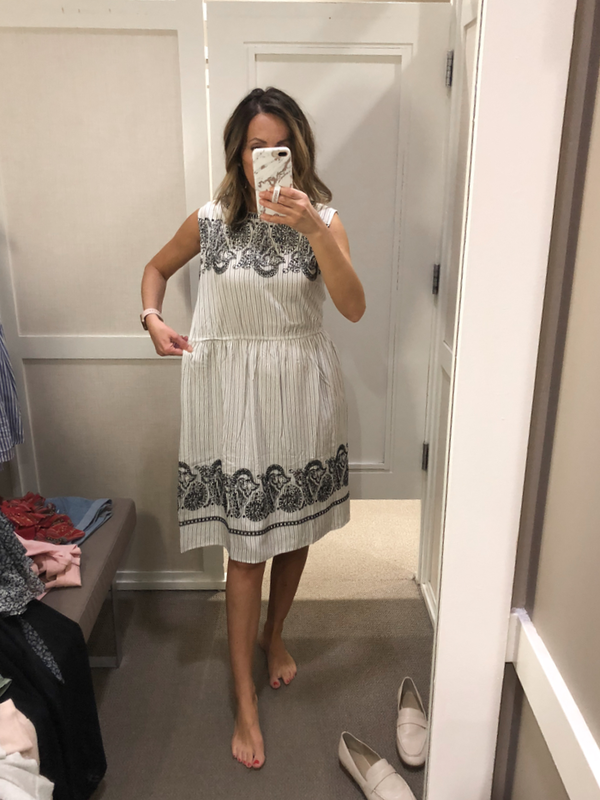 Tried this dress on in size Small as my size wasn’t available. 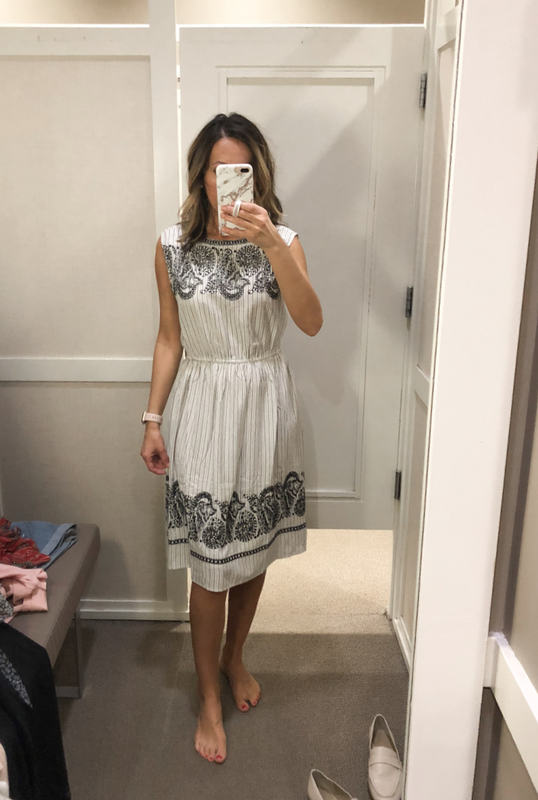 While the fit was way off (see pic below this one) it is a cute dress. The fitting room was too dark to tell if the dress is see-through. 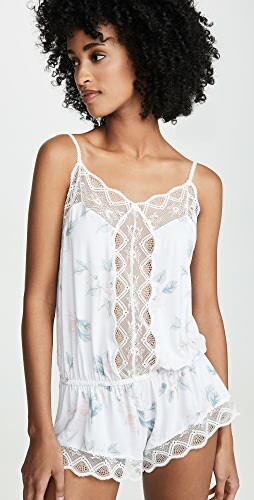 Blossom dress – super cute but also super short. 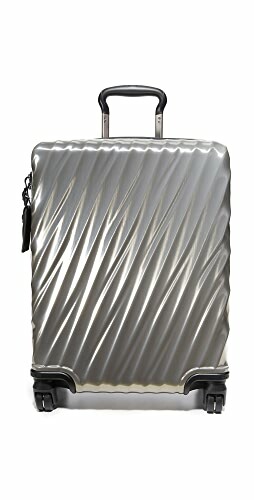 It comes in Tall as well, but it’s pretty much sold out. 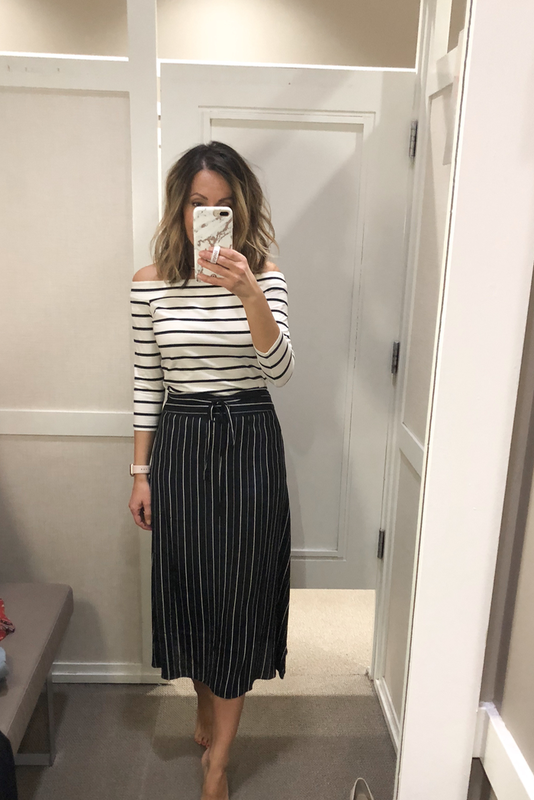 Stripe Midi skirt – in size 0 – loved this skirt. I think I’m going to order size 2 for just a comfier fit. 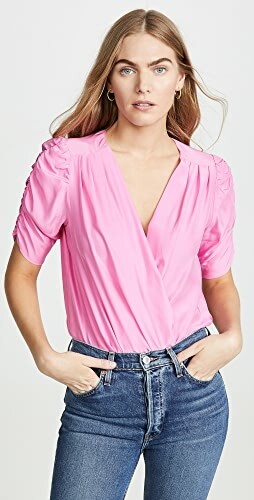 Soft and cute top. xs wasn’t available, wearing small below. Small was too roomy, you can stick to your size. it doesn’t look as oversized when it sits normally. 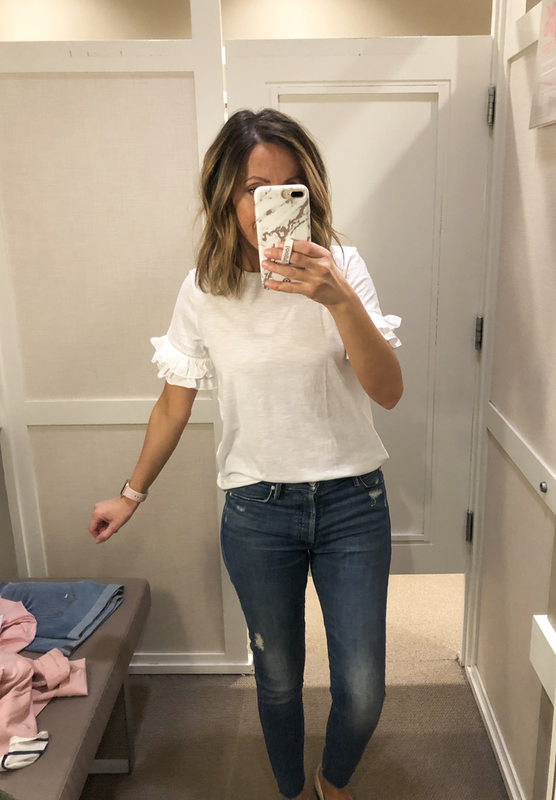 Ruffle tee – cute detail on basic white tee. 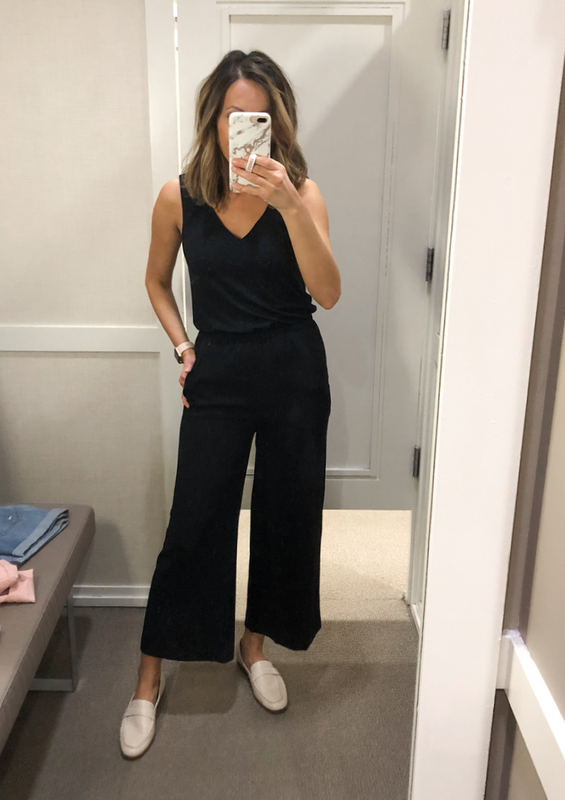 Wearing xs below, fits tts – nice relaxed fit. 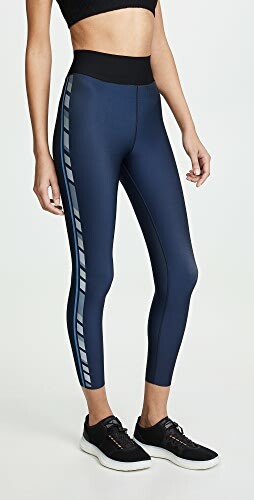 These were SO comfortable! The fabric is soft and the fit is great. They feel like yummy pajamas. I’d wear this on a road trip (which I’m itching to go on). Unfortunately, the print is not me, I can’t pull these off (I’ll see when my mood changes, maybe I’ll be all over these lol). 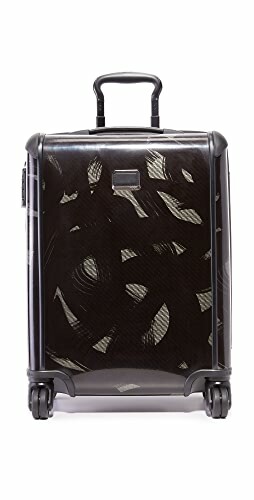 I also love these…they actually make me want to take a trip (odd how some pieces make you think of vacation). 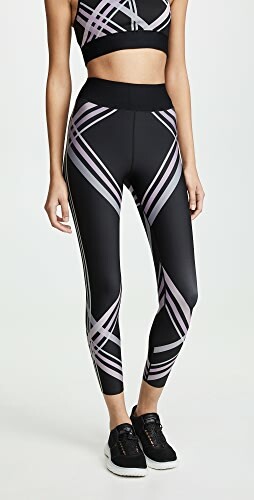 There is also this pair, which I didn’t see at the store. 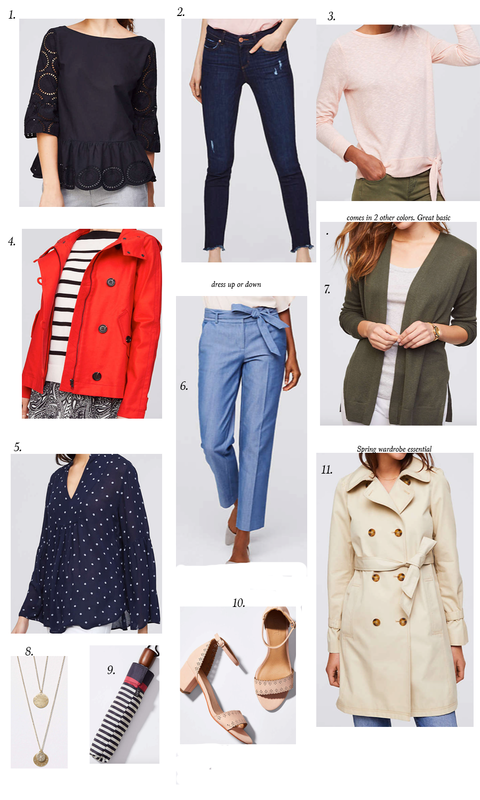 And below are a few pieces from Ann Taylor.. 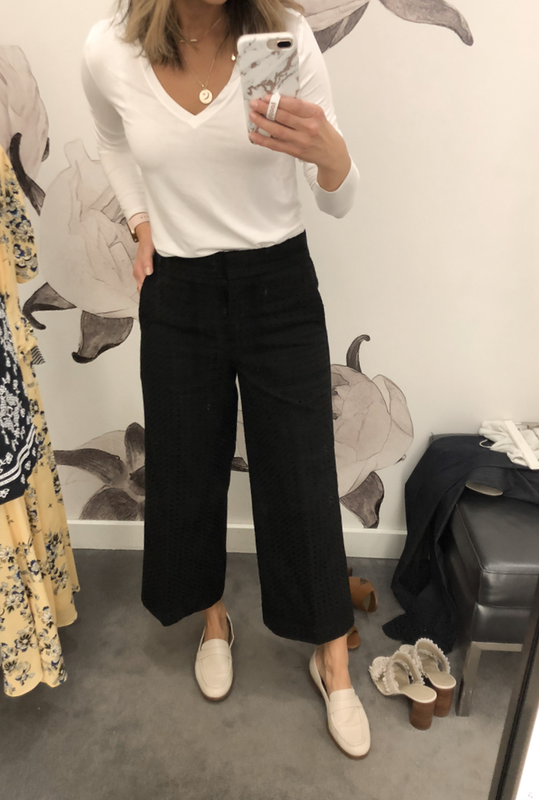 Loved these wide leg pants! They ran small, I couldn’t get size 0 over my hips. 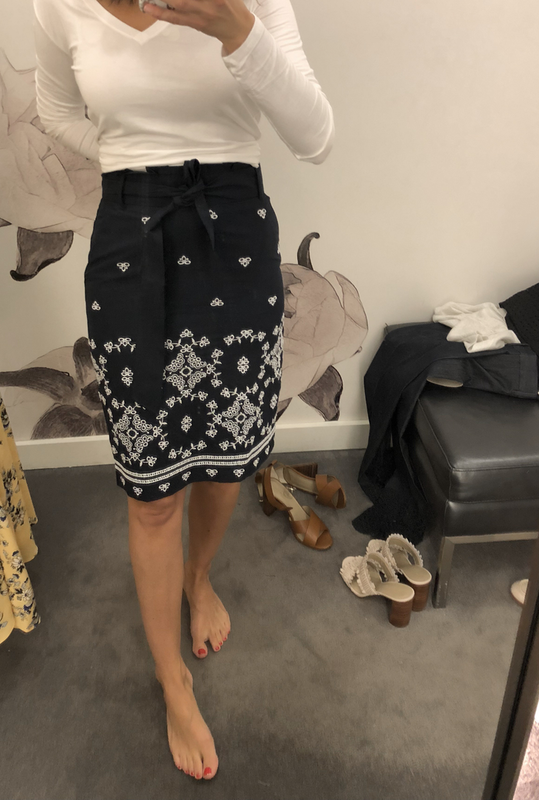 Size 2 fit, which I’m wearing below. 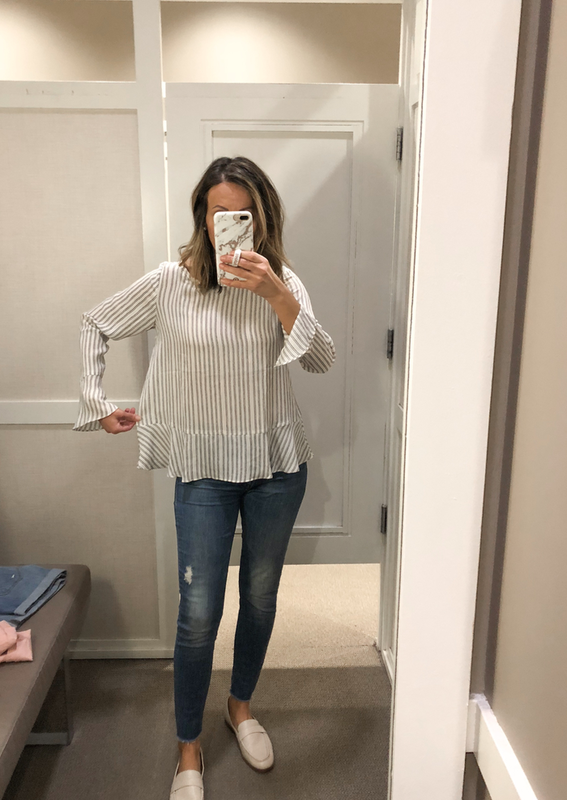 Eyelet Sleeve Stripe Top – Cute top, the eyelet details on the sleeves were not over the top. Wearing xs below. 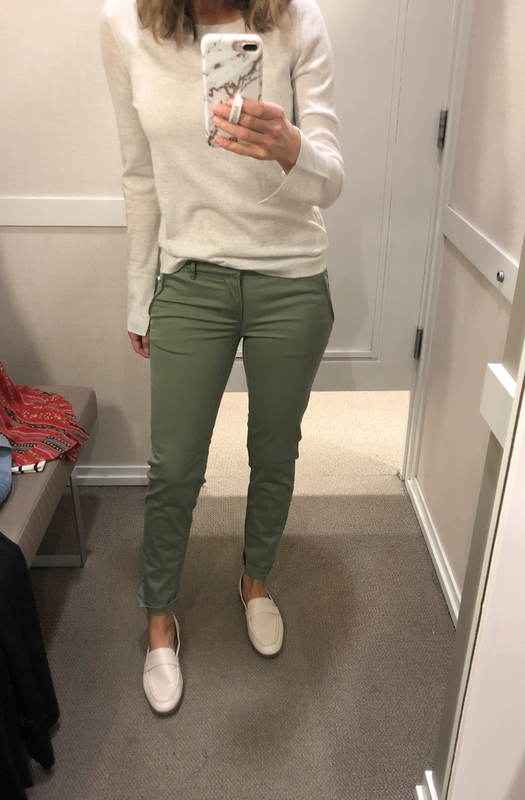 Light weight sweater that I love so much (talked about it in Monday’s blog post). 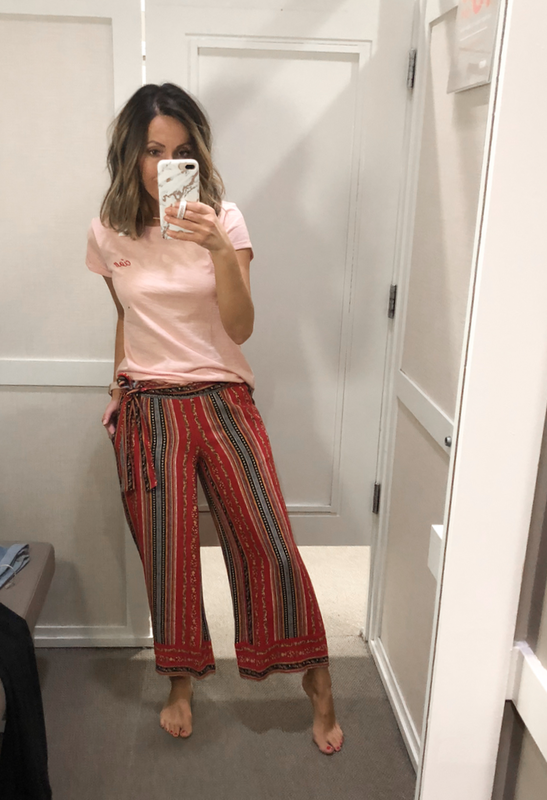 Joggers in xs – cute dressier joggers. Pair nicely with heels and flats. 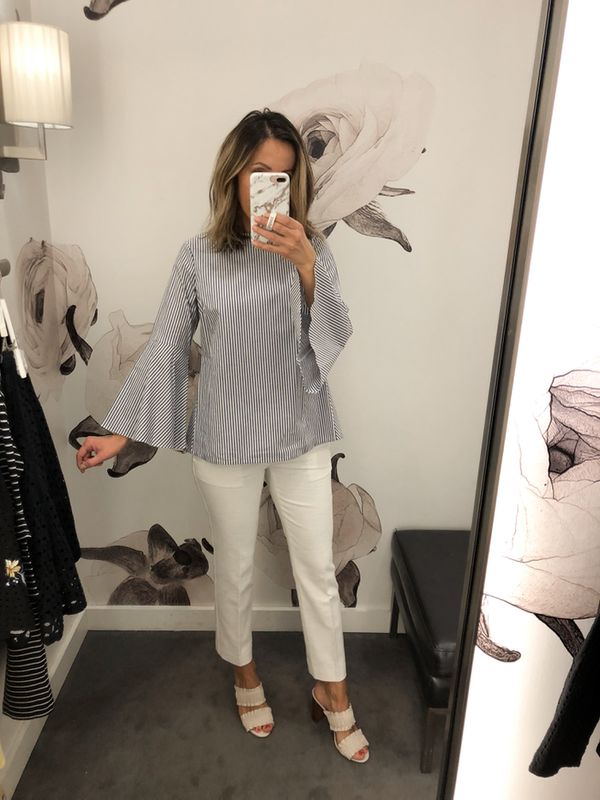 Fluted Sleeve top – cute top. 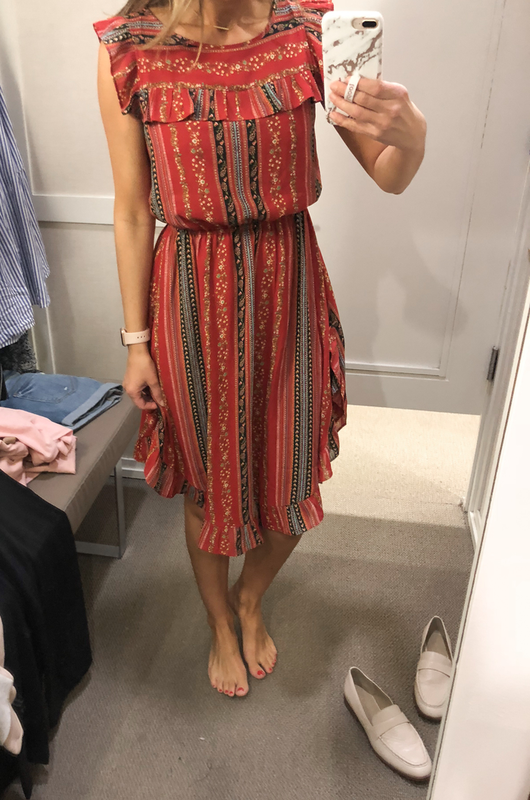 Tried on xs and I’d prefer it a size smaller (which wasn’t available store). 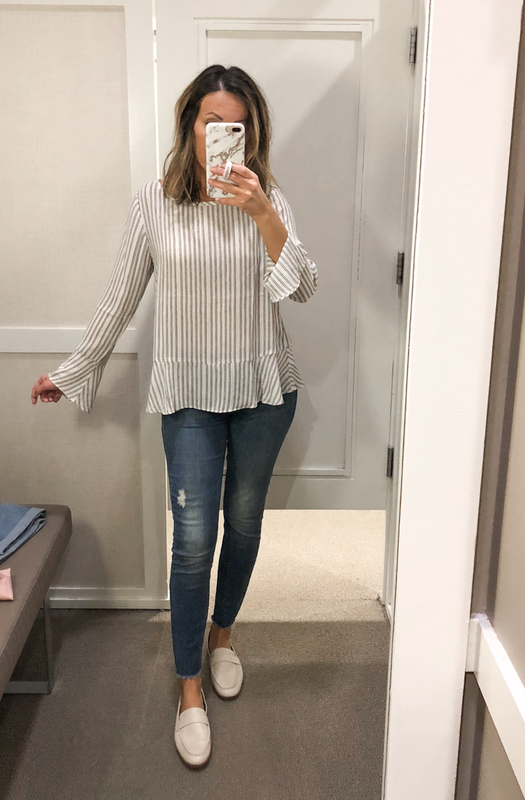 This top was so cute but I with the stripes went all the way down. I think they cut off at a weird point (just me being too pick). But I love that the ruffle details on shoulder are pretty subtle. Eyelet skirt in size 0 below – in A-line skirt I can usually size down since they sit on the waist. But I decided to get size 2 just for a comfier fit. Sigh, I'm going to be the annoying one, I apologize! 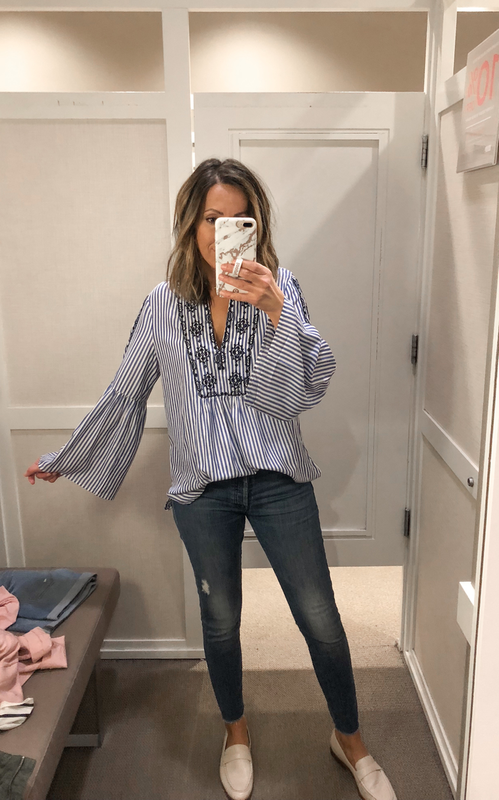 Where is your long-sleeved V-neck tee (in your AT snapshots) from? It is perfection on you. 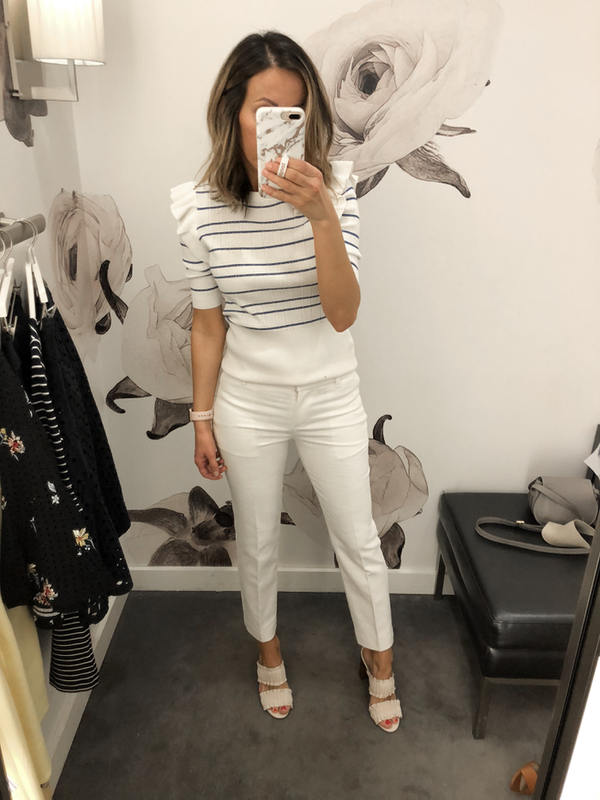 No, not annoying at all…I like questions 🙂 Meant to link my outfit but forgot, so thank you for reminding me (linked it all now towards beginning of this post). 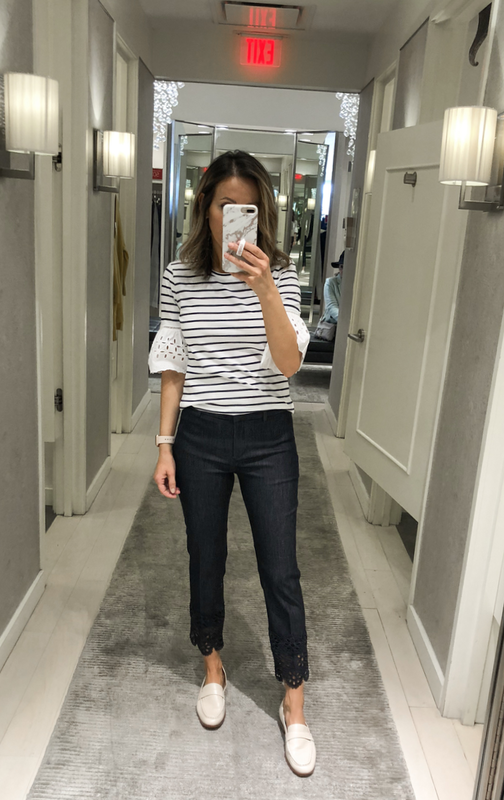 The tee is from Old Navy, ones I've been raving about (like in Monday's post lol). 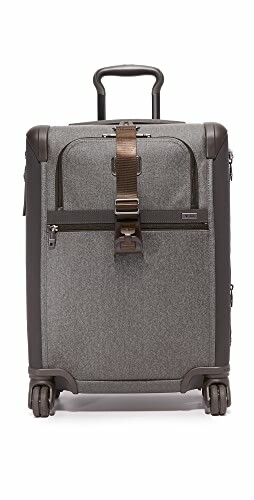 Affordable and super nice! Ohhhhh! Yes! I pinned the tees from your last post and was probably going to mistakenly forget about it. Thank you! I love the jumpsuit, Lilly! I haven't tried a jumpsuit yet. I've been waiting the right one. That might be it! You found so many cute clothes! I love that red ruffle dress! 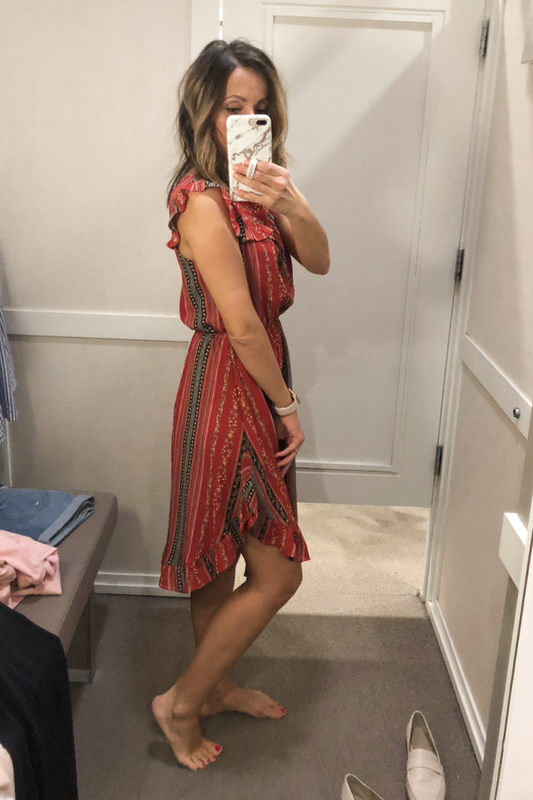 Don't ever stop doing these fitting room posts, love them! Super cute picks Lilly. You always look adorable and put together. Shop Flat Silver Shoes, Green Coats, Tan Slides, Black And Gold Jewelry and more. Get this widget.